The gastrointestinal tract is a dynamic environment with many factors influencing the symphony of activities which influences the efficient digestion of food which is eaten. One important trait is the high variability of pH levels food encounters as it passes through the alimentary canal. 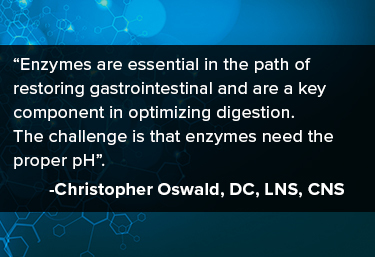 Enzymes which are stable in highly acidic environment, so they remain active following transit through the stomach.